sound-channel: Ailie & 7HEROS ”Spirit” 本日リリース!! 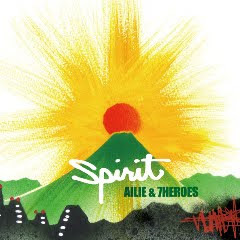 Ailie & 7HEROS ”Spirit” 本日リリース!! "Ailie & 7HEROS New Album-Spirit-release party"
LIVING ROOM LIVE MIX !!! So Deep, Monday channel presents "Staple"